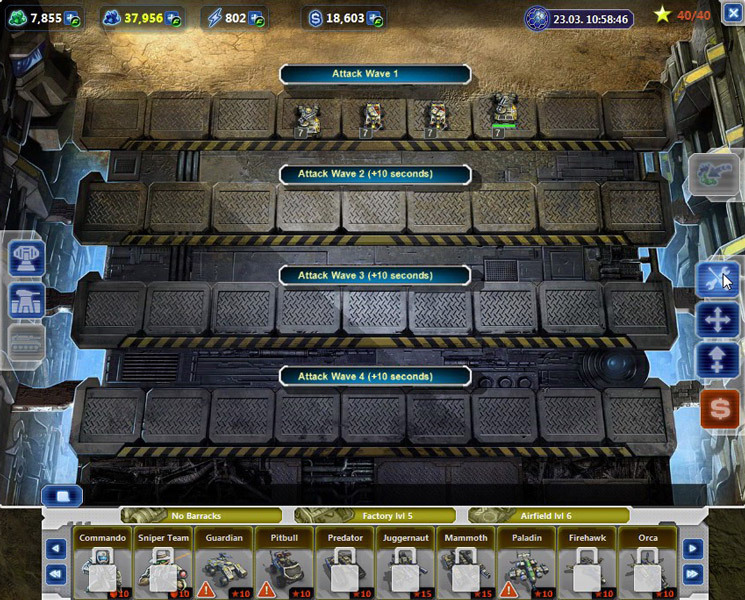 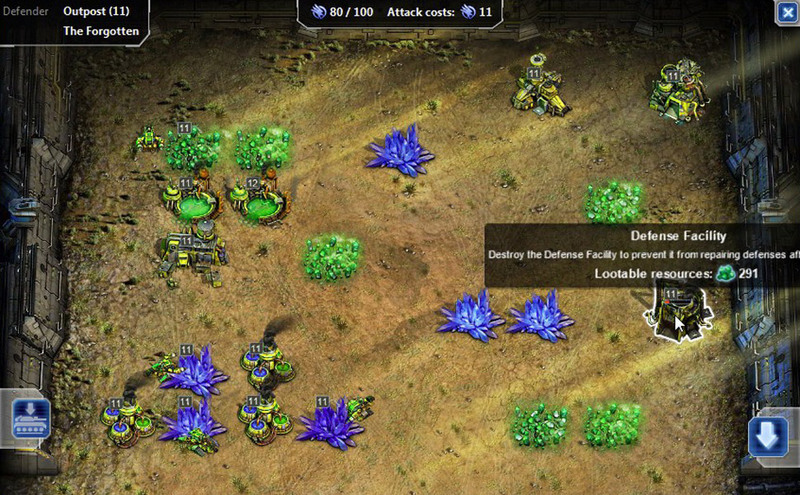 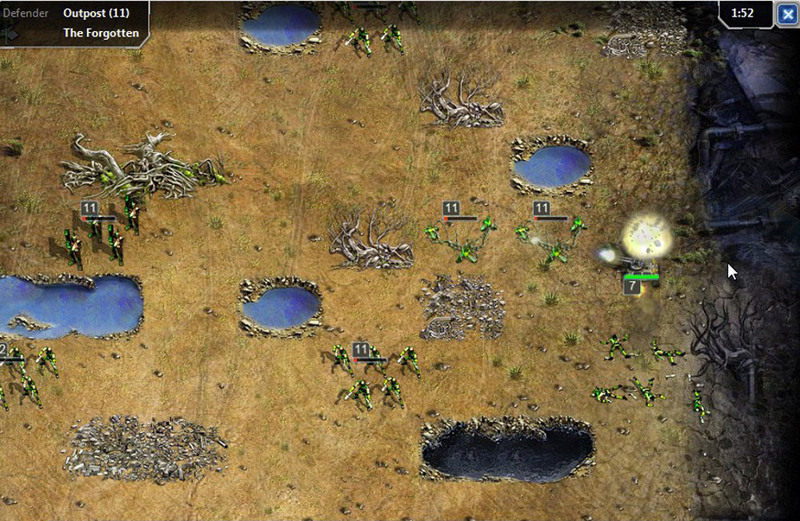 Command and Conquer Tiberium Alliances is a 2D Strategy, Browser Based MMO Game set in the Command & Conquer Tiberium universe. 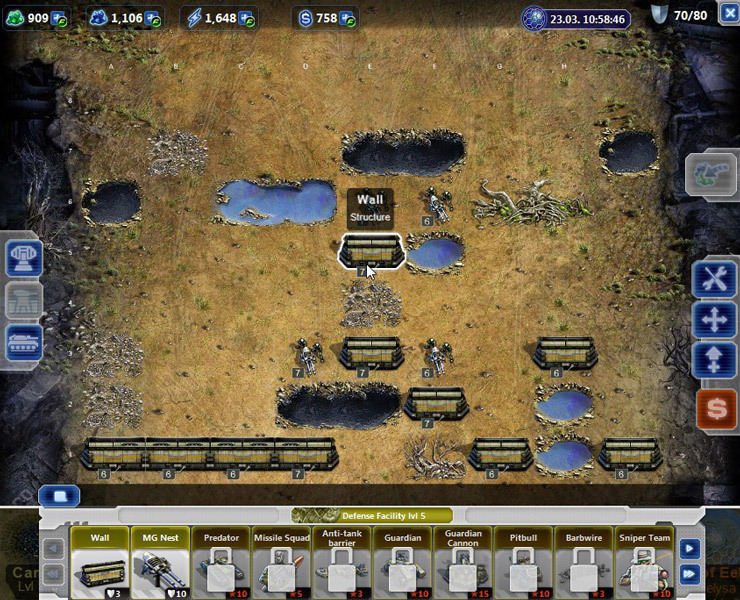 The air was filled with smoke and the smell of molten armor while armies have been stomped to the ground and alliances have been forged by the fires of battle. 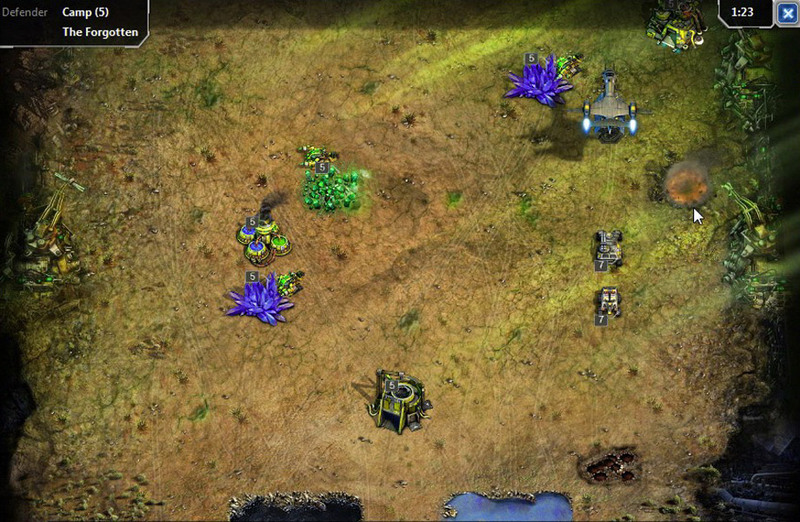 The fight for Tiberium has reached a new level and the Forgotten stand their ground within this global conflict between GDI and Nod. 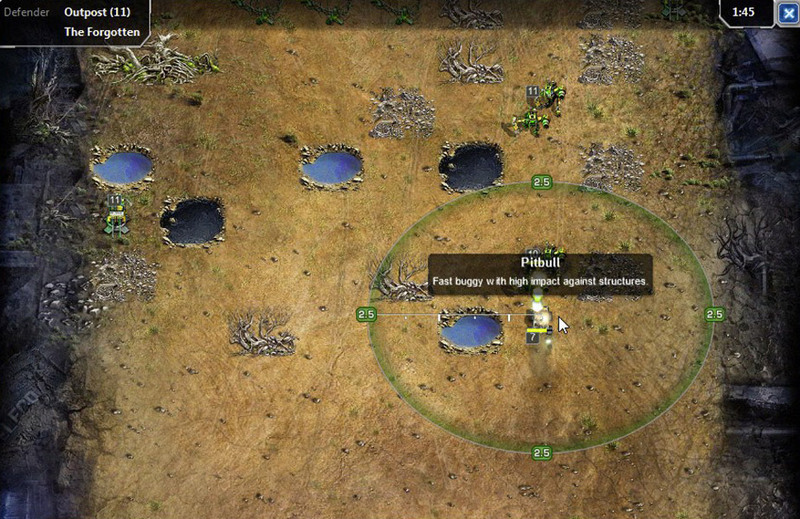 "Command and Conquer Tiberium Alliances" begins by placing you at a random location on a huge map, the first missions (quests) will, successfully substitute the tutorials. 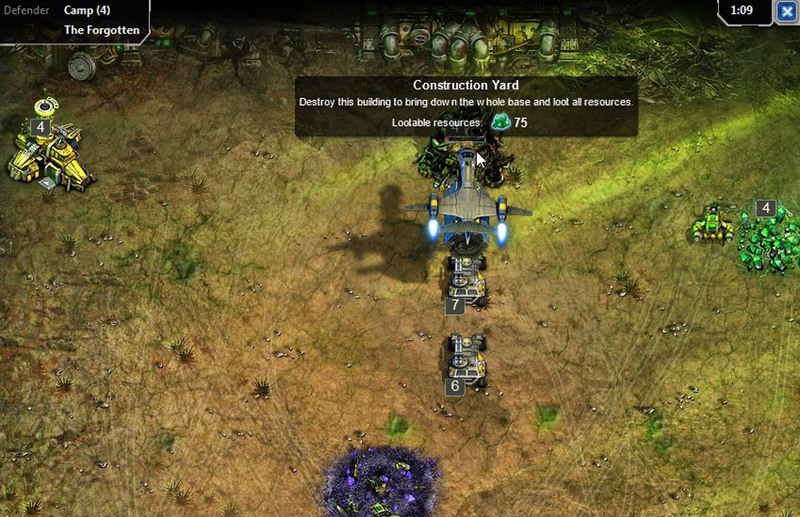 The base looks very much like a typical Command and Conquer base and you can build various structures in it. 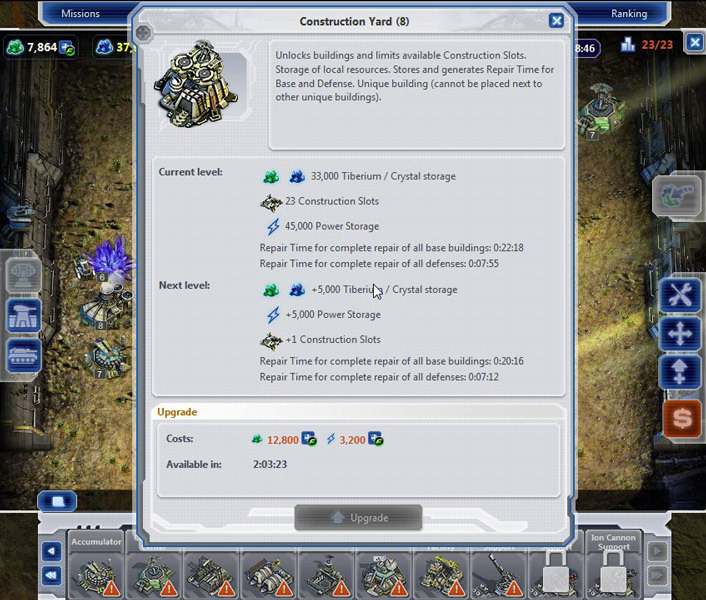 The base is split out into 3 major part, sections namely: - main base section where resources are located and where you can place your building - defenses section where you place any type of defensive unit or structure - and your army section. 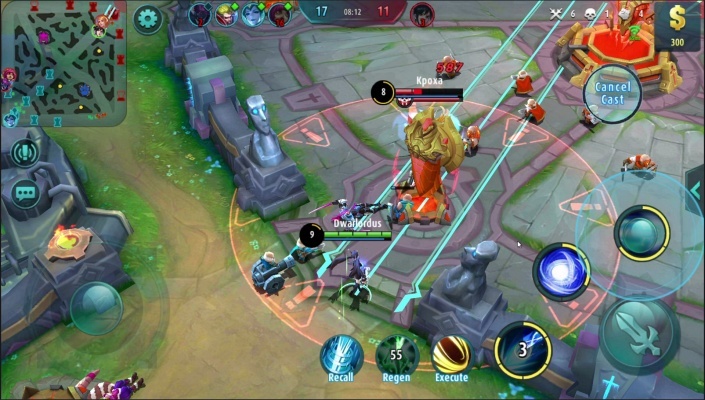 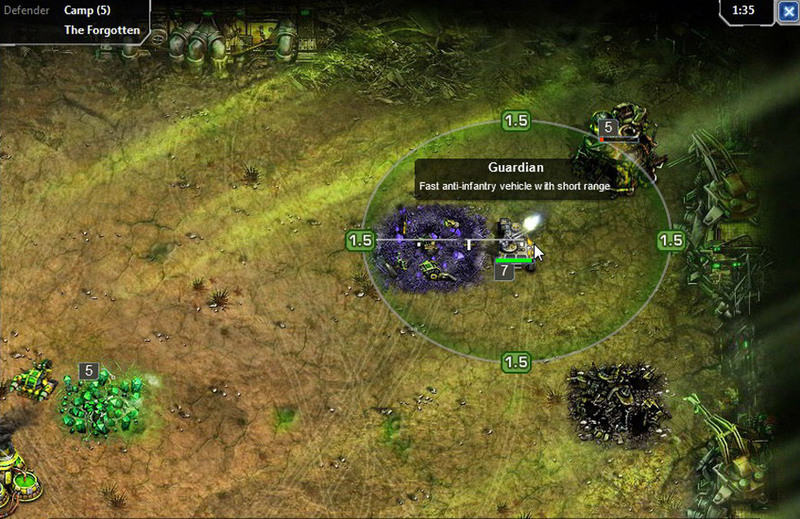 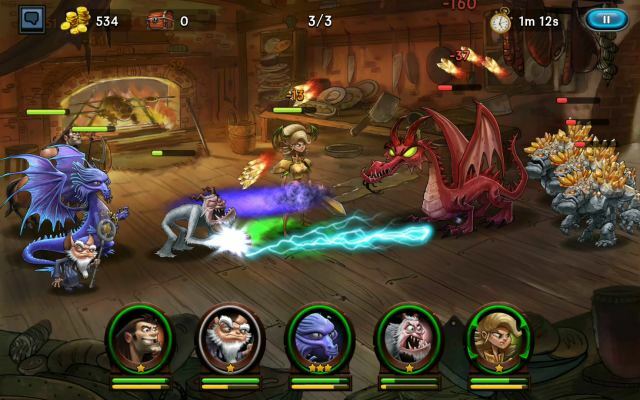 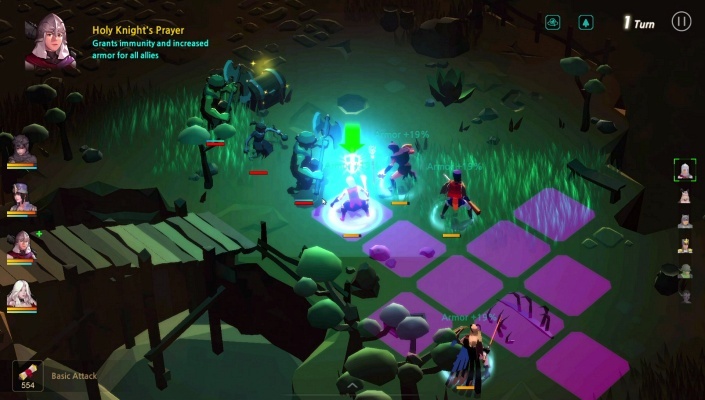 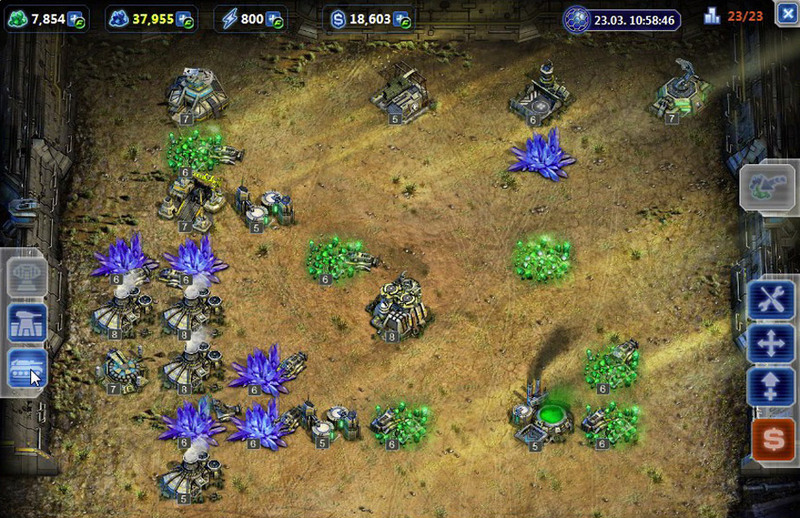 You must be very careful where to place the defensive structures that are directly in continuation of main areas. 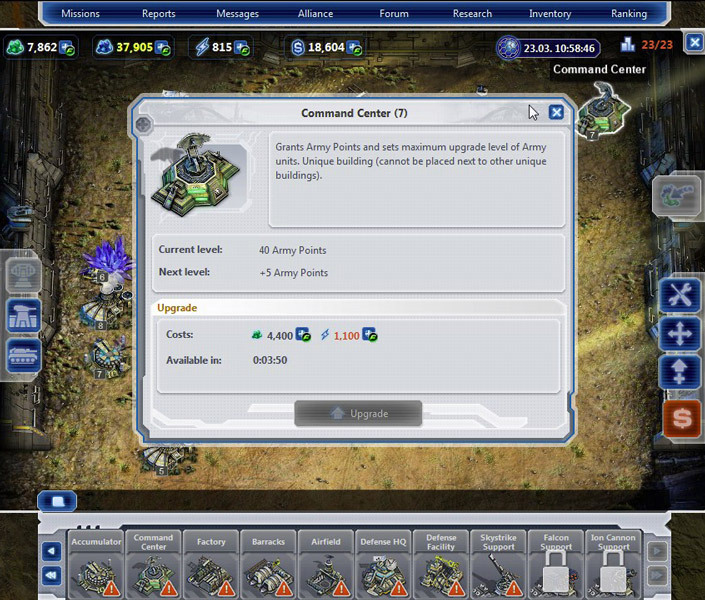 When are not busy with the construction and placement of buildings in the main Base you certainly gonna have what to do, namely to attack an enemy base or an AI outpost (which appear randomly around the map). 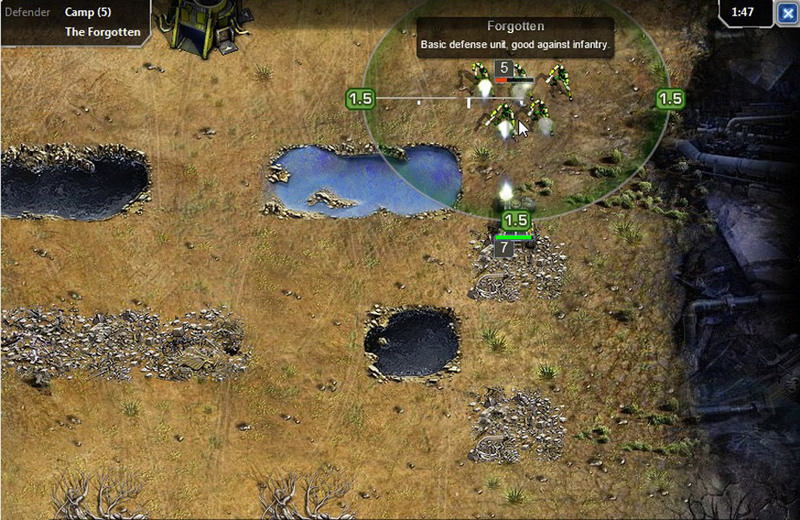 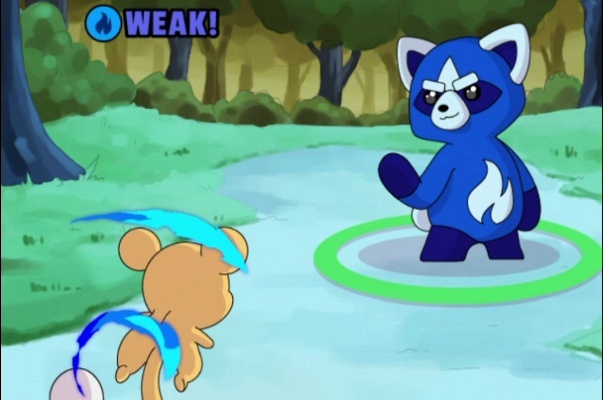 Fighting are fun, easy to understand and carry on battle channel. 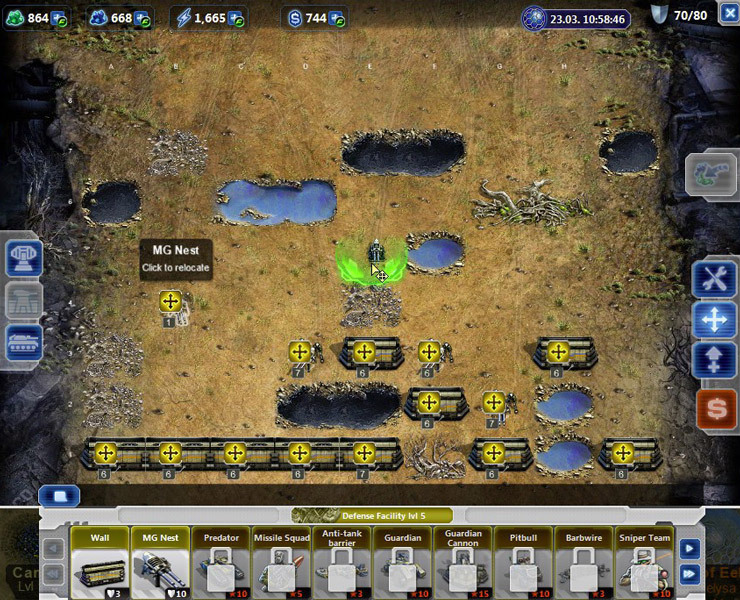 Place each unit in channel, these channels are 9 across and 4 deep then start the batle, the units will go toward the top of the screen and will attack everything that come across and will try to reach and destroy enemy main base building. 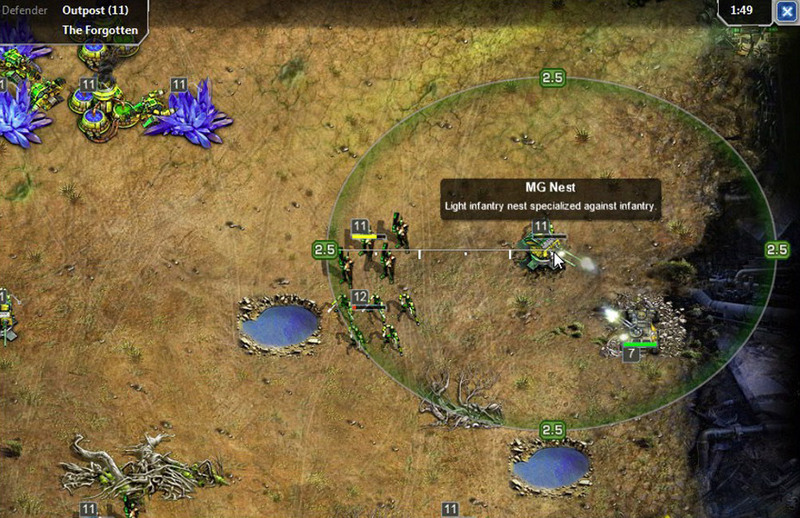 Overall Command and Conquer- Tiberium Alliances is not what would fans of the series expected to be but certainly compared with other browser based games will not gonna disappoint anyone.